"Mr. Morphy always plays, not merely the best, but the VERY best move; and if we play the move only approximately correct, we are sure to lose. Nobody can hope to gain more than a game, now and then, from him." -- ANDERSSEN, THE CHESS CHAMPION IN GERMANY. 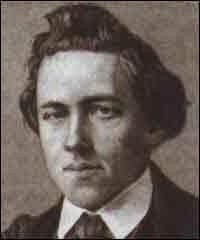 ZEST and good humor possessed the public mind, from one end of the country to the other, as the triumphs of Paul Morphy, the chess champion of the world, though scarcely yet attained to manhood, were announced one after the other, in an almost unbroken series at home and abroad, and against such odds as no other person of similar years had ever before encountered. His name was a pleasant charm in every month, and great was the honor accorded to America when this New Orleans youth fought, and fairly beat on their own ground, and in the presence of thronging crowds, all the greatest professors, not only in England but in Europe, of the noble game of chess. The history of this extraordinary young man, as given by his biographers at the period named, shows an astonishing natural adaption to and fondness of the game, combined with the most patient and enduring study. He was born in New Orleans, in June, 1837. His father, a lawyer, and judge of the supreme court of Louisiana, was fond of chess, and taught it to his son at a very early age. His inclination to it was very strong, and his assiduity in cultivating it enormous. At the age of ten years he was familiar with the moves of the game; and when he was only twelve, he played with the celebrated Herr Lowenthal--a European player of the first strength, who happened to be visiting the Crescent City,--and the result was that the veteran and world-famous player lost two games and drew one in contending with this little lad. From that time forth, the name of Paul Morphy was noised abroad in the chess circles of America with great commendation; few were to be found bold enough to cope with him, and when they did so, it was to meet with unvaried defeat. Such a phenomenon as Morphy was perfectly unaccountable. On the assembling of the National Chess Congress in New York, in 1857, Mr. Morphy was for the first time introduced to the public. His youthful appearance and wonderful power soon made him the center of attraction, and as the labors of the Congress proceeded, it became apparent that he would be is champion--a position that he finally won by the remarkable force of his combinations and the marvelous skill and foresight of his designs, winning some eighty-one out of eighty-four games. Paulsen, Lichtenhein, Thompson, Montgomery, Hammond, and Stanley, all succumbed to his superior power, and he carried off the first Prize of the American Chess Congress. Confident in his powers, Morphy now sent a challenge to Mr. Staunton, the champion of English chess, inviting him to play at a match, the stakes to be five thousand dollars. But Mr. Staunton declined, on account of the distance. Mr. Morphy's enthusiasm soon led him to visit England, and there the youthful hero was resolved with most distinguished attentions. His opponents at the chess-board were the very strongest in the English field, including such men as Lowenthal, Boden, and other celebrities. Mr. Morphy's appearance, during these great struggles, is described by the English press as exceedingly interesting--indeed, curious. His slight, even boyish frame, his puny limbs, small face (though redeemed by the high and massive brow towering above it), the almost infantine expression of his features, rendered it difficult for Englishmen to believe that this was the great mental phenomenon of whom all were talking and at whom all were marveling. His attitude was one of remarkable modesty, evidently quite unaffected,--not a sparkle of triumph in his eye, not a flash of half-concealed exultation on his cheek; nothing but a perfectly motionless and inscrutable impassibility, a gazing calmly and steadfastly onwards to the end in view, as if with a fixed determination to attain that end, and an utter disregard for any small triumph of conquest for doing what he as irresistibly compelled to do. And as he looked, so he was, invincible. Game after game was won with a precision truly marvelous, and that not so much by what is called steady play, as by a series of brilliant combinations involving sometimes many moves, and followed out with an unerring certainty that must have been as terrible to his opponent as it was admirable to all the spectators. During one day, he played and won eleven profound games, and, after returning to his lodgings at night, he recapitulated from memory, to a friend, every game, pointing out the variations minutely, and demonstrating the critical positions at which each was won or lost. This showed not only his superlative genius as a player, but also his astonishing power of memory. Among his antagonists in London was the renowned Mr. Lowenthal; fourteen games were played, of which Mr. Morphy won nine, Mr. Lowenthal three, and two were drawn. Indeed, Mr. Morphy was victorious over all who opposed him, in London, and on the Continent it was the same. In Paris, he encountered such men as Harrwitz, Riviere, Laroche, Journoud, and Devinck; but the most celebrated rival with whom he was matched, while in Europe, was Adolph Anderssen, the acknowledged champion of German chess,--the result of this match being Morphy seven, Anderssen two, drawn two. Though deprived of his long-enjoyed supremacy as king among European chessmen, Anderssen magnanimously said: "Mr. Morphy always plays, not merely the best, but the very best move; and if we play the move only approximately correct, we are sure to lose. Nobody can hope to gain more than a game, now and then, from him." And again, this great master of chess said of his conqueror, "It is impossible to play chess better than Mr. Morphy: if there be any difference in the strength between him and Labourdonnais, it is in his favor." Another great player, after trying him, said: "It is of no use; it is uncertainty struggling against certainty." Original Title - UNRIVALED PERFORMANCES BY PAUL MORPHY, THE AMERICAN CHESS CHAMPION--1858. This is from the book, OUR FIRST CENTURY, by R.M. Devens (1876), which is in the public domain.